We live in a modern world. Modern life is amazing! We have instant access to more goods and information than ever before. This has sparked a major trend to streamline and simplify our living spaces. Today's savvy home stylist makes the best use of available space by removing the barriers between rooms and introducing furniture with complimentary styles to create a unique and flexible living space. Make the most of your usable space. Small space living has been a part of city-living and college life for a long time, but now trends in home building have made small space design more necessary for any living situation. Finding stylish furniture that not only fits the size of your home, but also maximizes the available space is key to enjoying small space living. And with creative storage options and décor, your home will not only feel more spacious, but have the clean style and convenience of small space living. Attributes of small space furniture. In the past, small space furniture sometimes meant mass-produced, ready-to-assemble pieces that lacked quality and character. Thankfully, times have changed and we have moved away from that cookie-cutter approach. Today, small space furniture boasts purposeful design that focuses on functionality while allowing you to express your personal style into your space. You shouldn’t have to compromise on style or quality. Big things can come in small packages. Just because your space is compact doesn’t mean it can’t make a big impact. 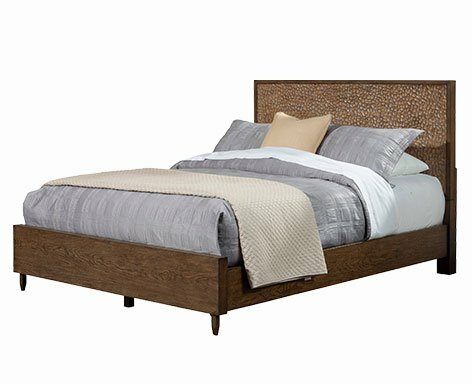 Whether you want a charming and rustic dining room, a cool and contemporary bedroom, or minimalist and modern living room, RC Willey has the perfect furniture collections to help your vision come to life. Our small space furniture brings character, uniqueness, and practicability to your space. Your living room is where you entertain, relax, and play. RC Willey's selection of space-conscious living room furniture allows you to express your own personal style while still freeing up valuable floor space. 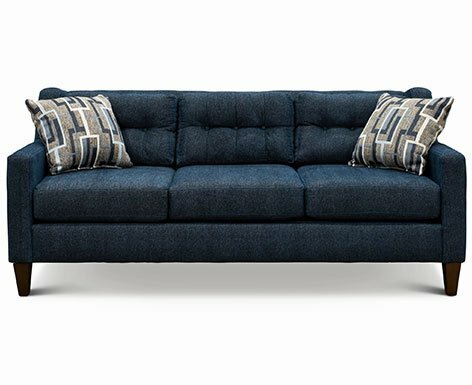 From sofas to tables to TV stands, discover pieces that are designed to impress, to provide comfort, and to maximize storage. Just because your bedroom is short on space doesn't mean it has to be short on style. RC Willey's wide variety of options will help you create a fresh look for your personal retreat while still keeping your space clutter-free. Our unique selection of multi-functional storage pieces will help you enhance and revamp your bedroom. Small space dining rooms are often the hub of the home. 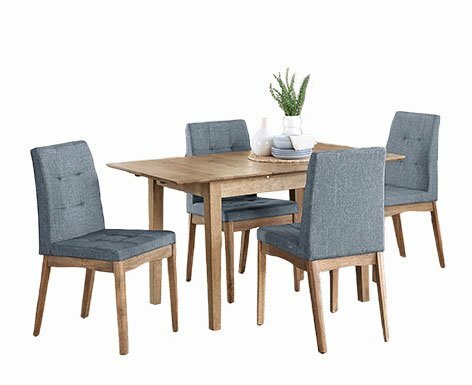 Whether it's game night, studying, entertaining or eating meals, your dining room needs to be flexible, stylish, and sturdy. RC Willey has dining room tables, chairs, cabinets, and curios to organize your dining room and make your every-day space comfortable. RC Willey has the perfect furniture to fit your space. Small space living is part of modern life. Whether you are a college student in a dorm, someone decorating your first home, simplifying your lifestyle, or simply updating your style, RC Willey has the perfect bedroom, dining room, and living room furniture to match your style and bring some big style to your small space.